The Scottish Vocational Qualification (SVQ) in Interior Systems (Construction): Cavity Barrier Installation at SCQF level 5 allows candidates to demonstrate competence in job-related skills in their area of work and expertise. This qualification covers areas such as general workplace health, safety and welfare, productive work practices and installing, installing cavity barriers to floors and ceilings. 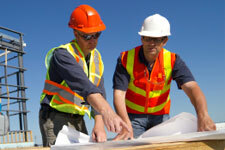 employment in the Construction sector, such as an Operative. The SVQ Interior Systems (Construction): Cavity Barrier Installation at SCQF level 5 consists of four mandatory units.